2016 “Make it for Me” Projects! This site contains affiliate links for which I receive compensation should you make a purchase. Thanks for the support! 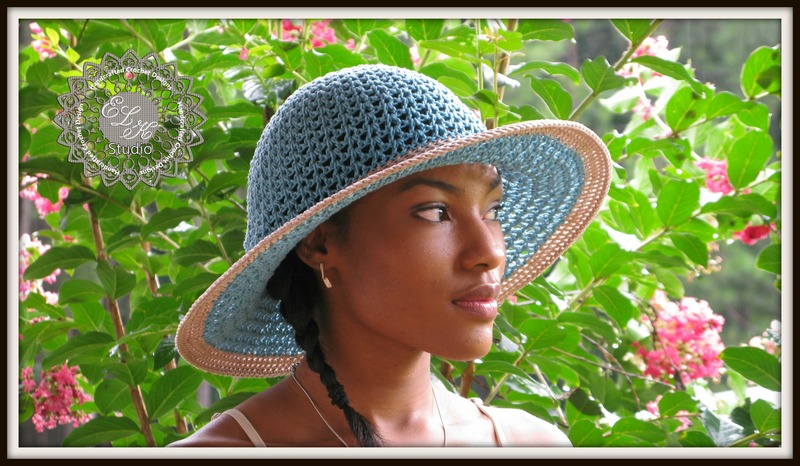 Southern Breeze Crochet Hat Pattern in the Making! Sometimes you get it right the first time and don’t realize it. I finished my latest hat last week and was very pleased with the way it turned out. I worked really hard to get the hat completed before Tiara arrived for the photo shoot of Simply Southern so that we might be able to get in a few photos with Southern Breeze. Tiara could make anything look fabulous because she’s so beautiful but she definitely rocked the teal and camel colors of the Sinfonia yarn that I purchased from Creative Yarn Source. The brim of this hat is not quite as big and the other two hats because of the stitching and here is where the tweaking begins. 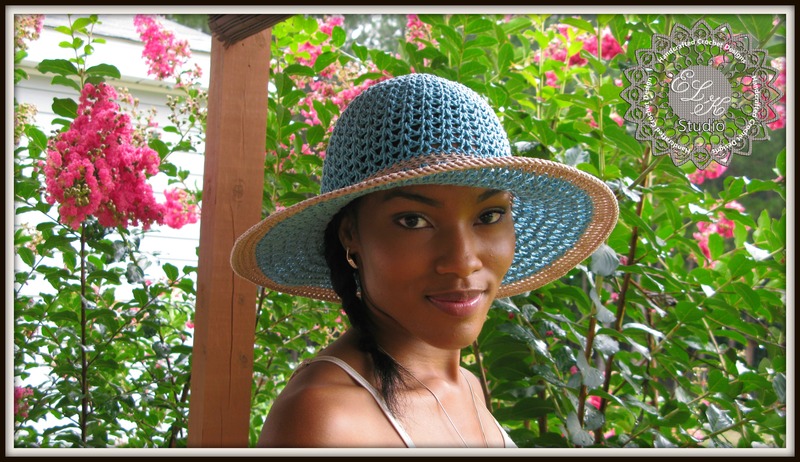 I love the big brim of Southern and Sassy and Simply Southern, and thought I would attempt to enlarge the brim on my newest hat. Epic failure! The stitching of this hat simply won’t allow for a bigger brim, but of course I had to go through through the entire process of making another hat before I realized I had it right the first go round. Oh, but I didn’t stop with just tweaking the brim….no. I had to play around with the increase stitches and some other ideas as well. UGH……I had it RIGHT the first time!! I have spent this entire week making and taking out stitches in a hat! Needless to say, I am done with the tweaking of Southern Breeze and it’s almost ready for my wonderful testers, whom I trust and rely on for their great feedback and timely crocheting! Please tell me that I’m not the only one in this boat? Do you ever do anything similar? I’d love to hear about it if not for anything than to make me feel better…. Have a great day and be on the lookout for Southern Breeze in a couple of weeks! You can change your mind at any time by clicking the unsubscribe link in the footer of any email you receive from us, or by contacting us at elkstudiocrochet@gmail.com. We will treat your information with respect. For more information about our privacy practices please visit our website. By clicking below, you agree that we may process your information in accordance with these terms. Get the Cana Ruca Yarn at the Skein Shop! FREE Shipping!